Sights on the Springfield Armory XD are notorious for being hard to remove. 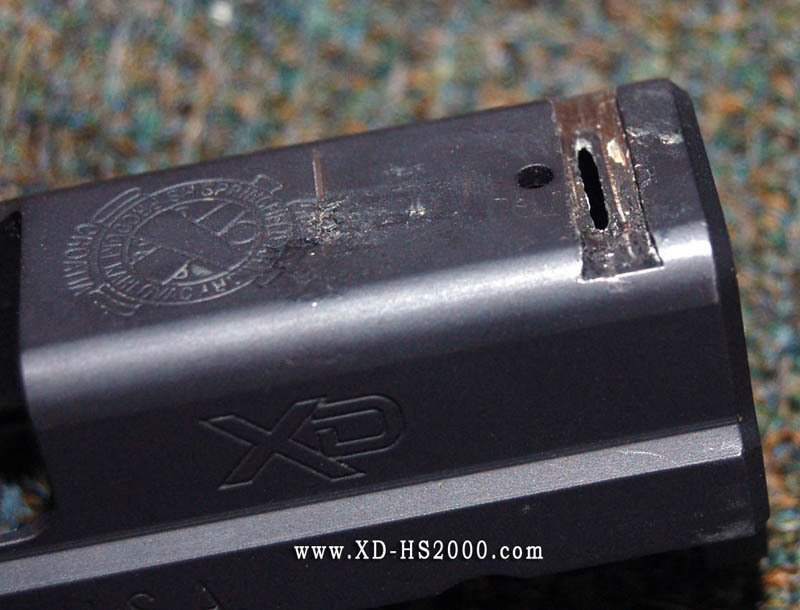 Most gunsmiths across the country will not even touch an XD to remove the sights. 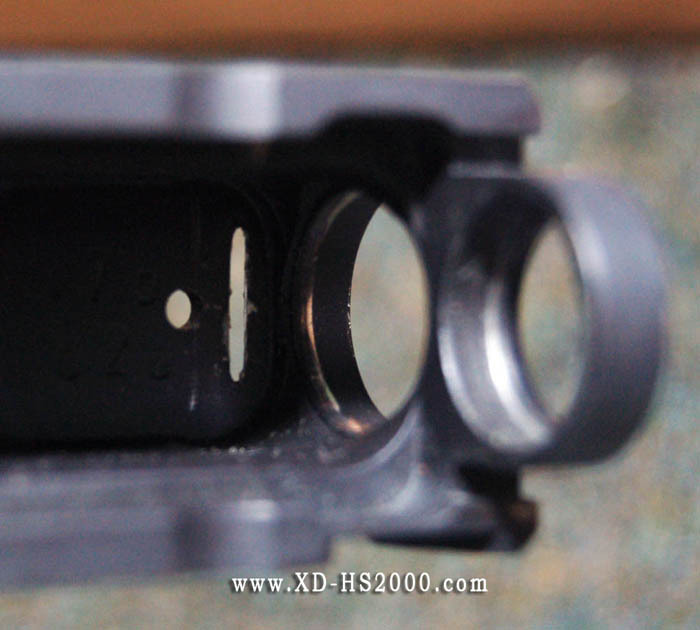 I have removed and installed thousands of sights on all different versions of XDs over the years. From my experience I can tell you that the dovetails can have a very tight tolerance and can take extra effort to remove and install sights on them. One technique circulating on the net is to use a Dremel tool and cut or grind the old sights out. This sounds good but you can easily slip and damage the finish. Also, once you get to cutting how do you know when to stop? This person successfully got through the sight and removed it but went too far and actually cut the slide. On the rear is more damage from the sloppy sight removal. You can see that the dovetail is actually dinged and damaged. On the top tips of the dovetail you can see that material is removed. If you were to install a new set of sights on top of this damage, you would scratch the new sights and still have visible damage on the slide.